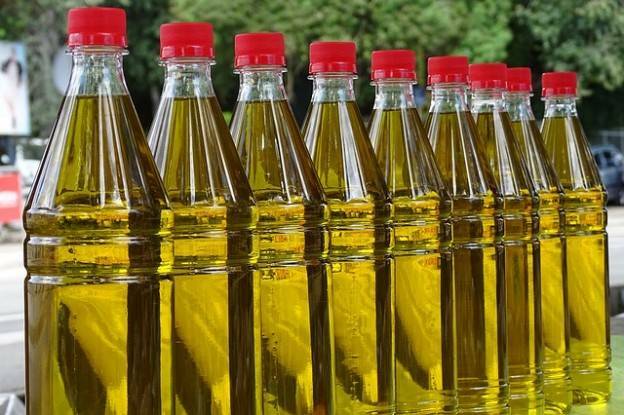 Vegetable oil is made from oily seeds by mechanical process of pressing the feedstock. The byproduct of the process is cake. Literature states that such oil contains a large amount of vitamins and biologically active substances. With cold pressing, the natural color and taste of oil are preserved. But this leaves the oil cloudy due to the presence of slime and proteins, which should be filtered from the product. When oil content of the seeds reaches 50%, the most efficient process involves two pressings, pre-pressing in continuous presses and then in screw presses. Purification of vegetable oil is separation of suspensions. It is classified in dependence of which phase moves in relation to the other. During settling, particles move in relation to the continuous media, while during filtration, the dispersion phase passes through concentrated dispersed phase. Centrifuge purification allows removal not only of solid particles, but also water. An indication of centrifuge operation is the separation factor and throughput capacity. For example, conical centrifuges are approximately three times more efficient than cylindrical. As far as centrifuges are concerned, their purpose being purification of vegetable oils, the main parameters are capacity at selected degree of purification, and the dependency of quality on the centrifuge performance, oil quality and filters. Using separators for purification of vegetable oil does not allow complete removal of solid particles. If an additional filter barrier is installed in conical centrifuges, purification is more efficient than with separation alone. Filtration at constant speed leads to increase of sediment resistance due to increase of its thickness. In case of high pressures, which may occur in centrifuges, the sediment compacts to a high degree, leading to resistance increase. This is why filtering centrifuges should not be used for separation of suspensions with highly compressible sediment. To increase quality of purification, the product exits the centrifuge through the central outlet.